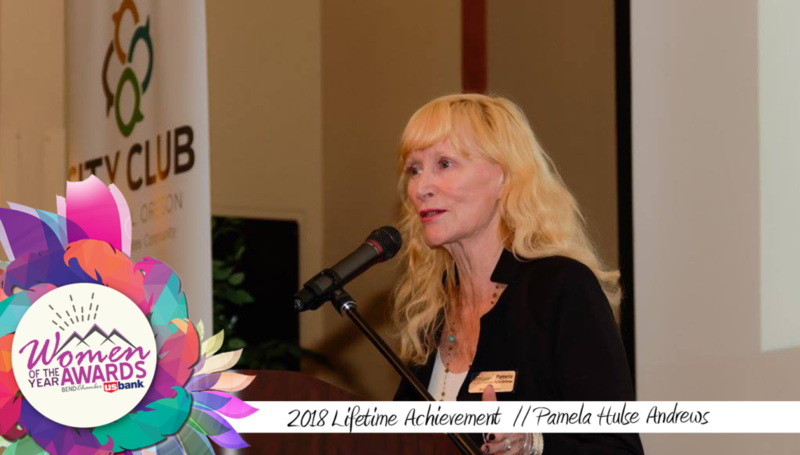 Congratulations to Pamela Hulse Andrews, 2018 Lifetime Achievement Award recipient! It is with heavy heart that Pamela’s passing came just after her nomination for this award. It is with proud heart that we celebrate all she has accomplished through the Lifetime Achievement Award. 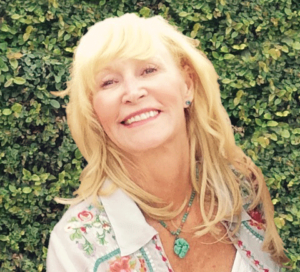 Pamela was the Founder, CoOwner and Publisher of Cascade Publications, Inc., which publishes Cascade Business News (CBN), Cascade Arts & Entertainment, and Cascadia Magazine Company, which publishes Sunriver Magazine and Pacific Crest Guide. Pamela’s commitment, dedication and hands on experience in Central Oregon the last 25 years has greatly enriched our community. Pamela launched CBN in Bend in 1993. Bend had not had such a professionally, well covered business publication prior to that. In 1998, Cascade Arts & Entertainment received the Central Oregon Arts Association’s Business of the Year Award and in 2000, Pamela was honored with Oregon’s Small Business of the Year Award. Pamela’s commitment, dedication and hands on experience in Central Oregon the last 25 years has greatly enriched our community. Her guidance and involvement has inspired many and she has been instrumental in the development and success of many of Central Oregon’s nonprofit organizations. Pamela has been a role model for many women and men, by encouraging them to make our community a better place to live. She is respected for her “I’ll do it my way” attitude as it has shown her strength and fortitude in addressing and overcoming business challenges and for experiencing the good and bad of economic times in Central Oregon. Past president of the board of directors of Deschutes United Way. Also served as the campaign chair for United Way’s fiftieth anniversary and chairperson for their first million dollar successful campaign. And was honored as Volunteer of the Year in 2003. This entry was written by chris, posted on March 6, 2018 at 2:17 pm, filed under Community. I loved Pamela fiercely; was honored to be with her prior to and at the end during her struggle. We are not to fear the end of life here as what awaits us is remarkable. I look forward to rejoining my dear friend in that joyous place. Thank you Pamela for all that our friendship contributed to my life. You are missed beyond measure. “Have a dreamsicle kind of day”. I love you forever. So proud of my Mom, seeing all her accomplishments and community advocacy and participation is inspiring. She could never sit still or idle, and knowing her time went to so many positive causes for the community is a great reminder of how she lived life with purpose and passion! Thank you for recognizing her, she is missed deeply but her spirit persists. Pamela is and was a power house. She adored the Arts and the Bend Community and served them both selflessly. How lucky we all were to have had this wonderful woman both as a friend and advocate. The void is very real for all who knew her. This is just one of her many awards she received in her years of getting so many things done. Thank you Bend Chamber for lifting her just a little higher. Well said Sue I am among those who have valued Pamela’s friendship, support and true warmth of spirit. She is a beacon to us all.